A DNA test in Sikkim can be done at Gangtok, Lachung and Reshi. An AABB accredited DDC Laboratories India has opened up various collection centers for DNA testing in India. DDC Laboratories India is affiliated to DDC, the world leaders in DNA Testing. DNA testing is the most accurate method when it comes to human identification. DNA testing is done in cases of war, natural calamities and other situations where the body has been spoil beyond recognition. DNA can also be tested in case of immigration where the VISA is given once you prove relations. DNA testing is done for peace of mind. DNA paternity test, DNA Maternity test, DNA test for immigration, DNA ancestry test, GPS Origin DNA test, Paternal, and Maternal Lineage DNA Test, Sibling-ship DNA Test, Grandparent-age DNA Test, and all other DNA tests are done in these centers. A DNA test can also be done to solve crime cases, adoption, infidelity, and ancestry cases. We provide a high level of professionalism, reliability and stringent testing standards across all our labs. 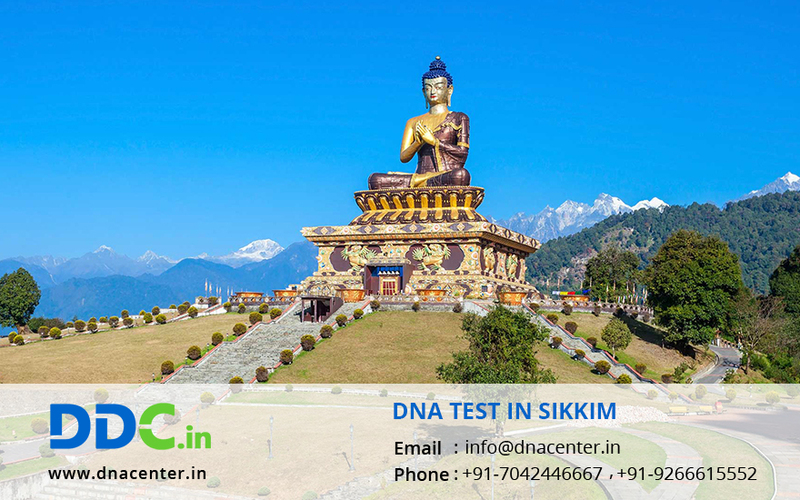 For any kind of DNA test in Sikkim, please fill the below form and our executive will contact you. Also, for any queries or to make an appointment, call us at 7042446667 or WhatsApp us on 9266615552.